When the original iPhone came out, it was $500. Then the next iPhone came out at $200. 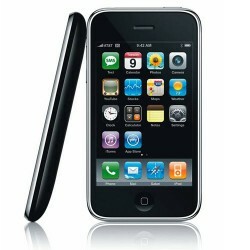 Now, you can get an iPhone 3GS for $50 and a refurbished model for $9. But is this a good deal? The iPhone 3GS is two years old hardware-wise. That means you get a 600 megahertz processor. That is pretty slow considering many smartphones now have 1 gigahertz or even dual core processors. You also get a 3 megapixel camera, which isn’t that bad. You still get tap-to-zoom, but you get a video camera with 480p recording. The display of the phone is a low 480 by 320 resolution. There is no FaceTime video calling. It doesn’t even have 802.11 n Wi-Fi. For those who buy smartphones for power and speed, the iPhone 3GS is not for you. It’s more for those who use their phones casually or just want the bragging rights of saying “I have an iPhone now” but could never afford to say before. It’s not recommended to buy because of how old the hardware is. If Apple treats the 3GS like they did with the 3G, many will be left with a very slow phone that can’t get any faster. But if speed isn’t an issue for you, and you just want a phone with a pretty good camera, and alright storage, the iPhone 3GS is for you.